The world has more information in it than ever before. A lot of it is fairly mundane – train timetables and Pink Floyd lyrics and what Sarah had for lunch on Thursday (thanks so much, Instagram). But there is also a lot of highly sensitive information, ranging from individuals’ address details through to launch codes that could destroy the planet. Getting hold of this information is something the criminal element apply an awful lot of time and energy to. 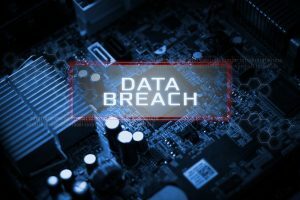 So we thought we’d look at some common ways you might be targeted – and the relatively simple steps to reduce the risk of being subject to a data breach. Antivirus? Check. Secure passwords with numbers and symbols and capital letters? Check. Memo to staff to not click on dodgy links that promise lottery wins and unlikely tax rebates? Check. Um…. next? Protecting your organisation against a cyber attack is a complex process. We know, because we recently got certification under the Cyber Essentials Scheme and it was a heck of a lot of work proving that we really are as secure as we can be. Unfortunately that doesn’t mean we can help you prevent an internal breach but at least you know that if you entrust us with your data, it will be as safe as it is possible to be. Yes, we know what you’re going to say – no one would be that stupid! But it’s happened in real life as well as fiction. Many data breaches happen as a result of human error so training is essential, as is putting processes in place that reduce the likelihood of documents falling into the wrong hands. In our case, we’re certified to BS10008:2014 standards, which are the same ones used by police when transporting evidence in a case so they can say for certain that it hasn’t been tampered with. Chucking confidential documents in the bin is not a good idea. And shredding them first isn’t good enough to prevent a security breach either. Anyone with decent eyesight and enough patience can piece those strips back together and retrieve the information they need. No, what you want is genuinely secure data destruction. We cross shred all confidential waste into confetti and then, for good measure, pulp it so there’s no chance of anyone reading it again. No matter how good your internal checks and measures, if you’re giving any external suppliers access to your data then there’s a potential security issue. A data breach might be deliberate or accidental but the outcome is the same. Which means it’s vital that you know you can trust everyone from the office cleaner to the folks who scan your documents to help you create digital files. Because of the nature of some of our contracts, we deal with information that is literally of national importance. Which means that not only are all our employees DBS and BS 7858 checked but we’ve also all signed the Official Secrets Act. If you’ve invested a lot of time, energy and budget in creating a secure environment at your HQ then you’ll naturally be wary of creating the opportunity for a data breach by allowing classified documents off site. What if someone intercepts them? Of course, you might need them scanned or destroyed. In which case the answer is simple: get it done on site. We’ve mobilised our operations so that if you have a high volume of scanning or destruction we can come to you. We can scan documents up to pretty much any size, cross-shred and pulp paper documents and even chip PC hard drives down to 20mm or 6mm. And you can watch the whole process, if you like that kind of thing. If you have a concern about your data and you’d like to talk to one of our experts, get in touch today.